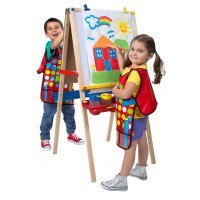 This Deluxe Kids Artist Easel new super easel comes with the art supplies and accessories to create a portable work space for young artists. 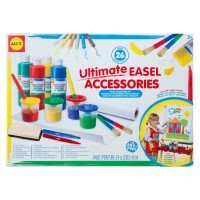 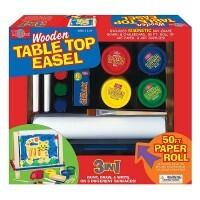 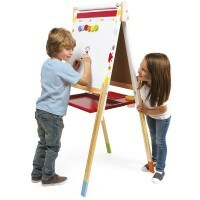 This new super easel comes with all the art supplies and accessories to create a special work space for young artists. 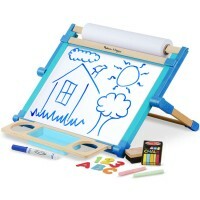 Deluxe Kids Artist Easel with Art Supplies Set by Small World Toys has a dry-erase whiteboard on one side, and the blackboard on the other side. 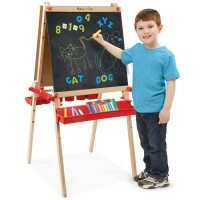 This double-sided tabletop easel set includes an tabletop easel that doubles as a carrying storage case, 12 pieces of colored chalk, 8 crayons, 6 paint pots, 2 paint brushes, 6 colored markers, 8 watercolors, sponge eraser and paper. 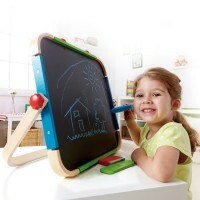 Deluxe Kids Artist Easel with Art Supplies Set features movable compartments to store and carry all art supplies around. 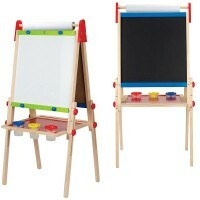 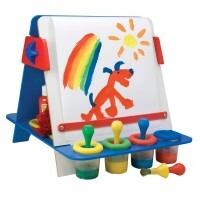 The open tabletop easel from Educational Toys Planet measures 13.5 x 13.2 x 3 inches. 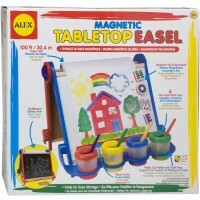 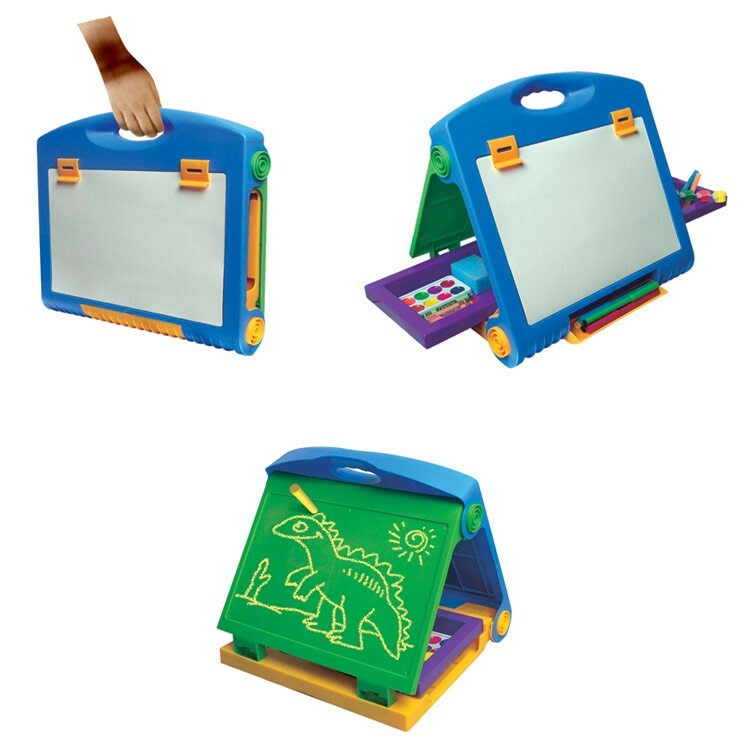 Take this portable kids art easel to grandma's house or anywhere you like and get ready to express yourself! 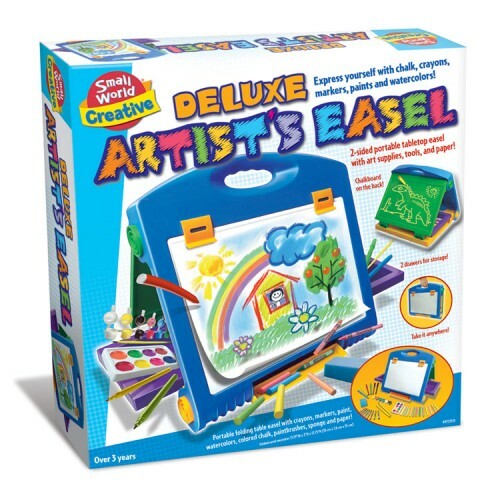 Dimensions of package 14.57" x 2.95" x 13.78"
Write your own review of Deluxe Kids Artist Easel with Art Supplies Set.